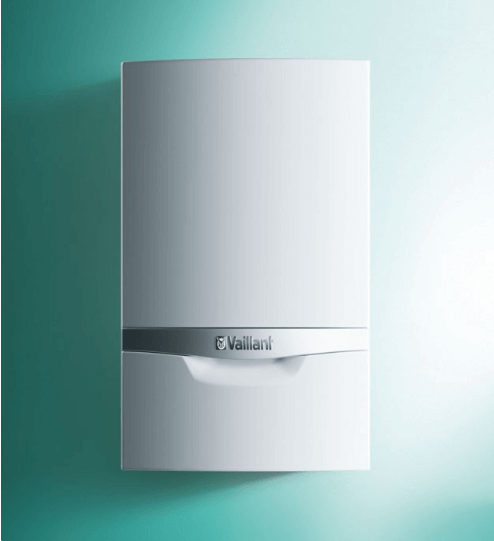 Best Combi Boilers 2019: unbiased, fact based reviews of the best boiler models available from the best boiler brands in the UK for the year 2019. Combi is short for “Combination”. A detailed guide on combi boilers is available on our website if you want to learn more. In brief, a combi boiler combines heating and hot water into one single unit. 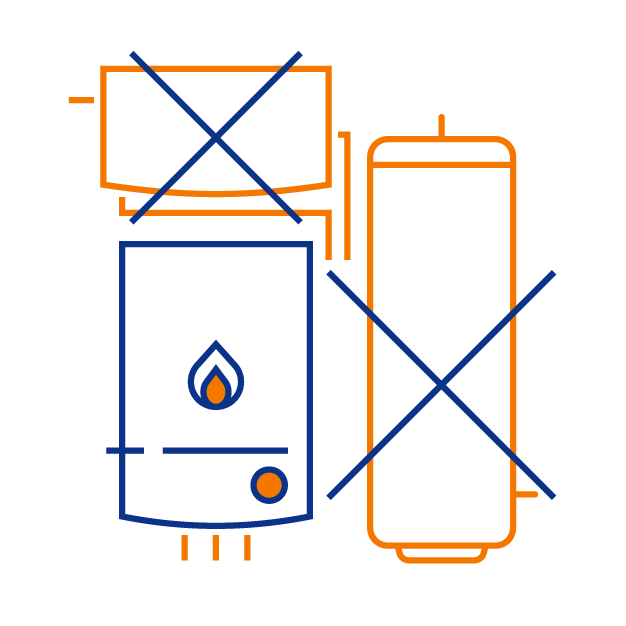 Unlike a conventional/regular boiler or a sealed system boiler, it does not require a separate hot water storage cylinder to store or heat/reheat water. It simply heats water on-demand as and when you require it. All modern boilers manufactured in the last 12-15 years (whether combi, regular or system) are condensing boilers. While the best combi boilers 2019 will save you space and energy, they’re limited in the fact that when it comes to a larger property with multiple bathrooms, they may struggle to deliver hot water demand from multiple taps. 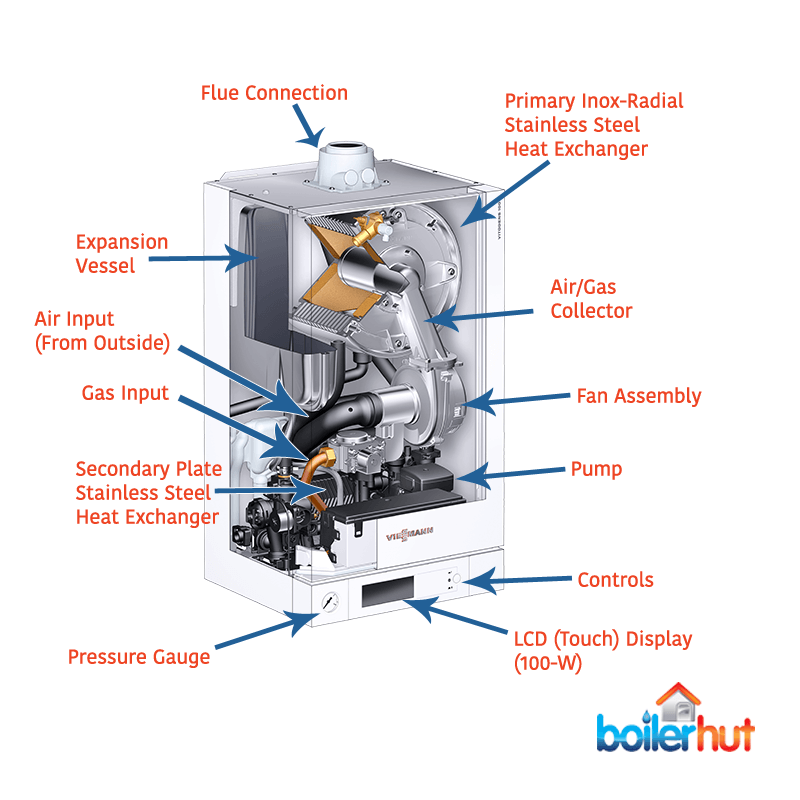 How a Combi Boiler Works? As you can see in the cross-section diagram of a combi boiler above, it has two heat exchangers; a primary heat exchanger and a secondary plate heat exchanger. Inside the best combi boilers 2019, the primary heat exchanger heats incoming mains water that then goes through the pipes into your radiators, heating them up. That hot water travels through the radiators and returns to the boiler. Now, because that water has gone through the radiators, it collects sludge and grime, and is obviously dirty and undrinkable. 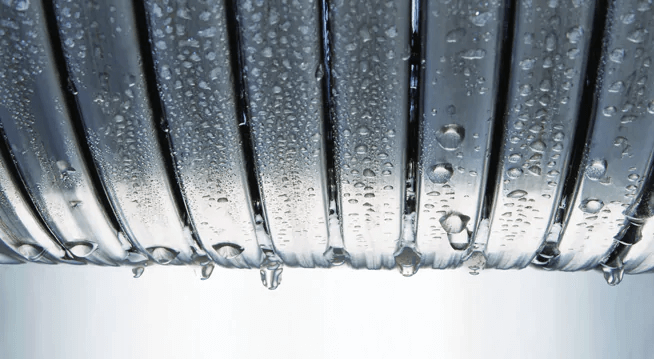 How does a combi boiler deliver clean, hot drinking water? The dirty water returning from the radiators is used as a heat source to heat up clean drinking water inside sealed pipes via the secondary plate heat exchanger. What facilitates this in the best combi boilers 2019 is something called a diverter valve. So, every time you open a tap in your house and call for hot water, the combi boiler pauses the central heating and opens the diverter valve to bring you hot drinking water. This is why you hear the boiler clicking every time you open a tap and call for hot water. Because of rising space saving and energy saving demands, we have storage combi boilers available now. These are combi boilers with an integrated hot water tank. 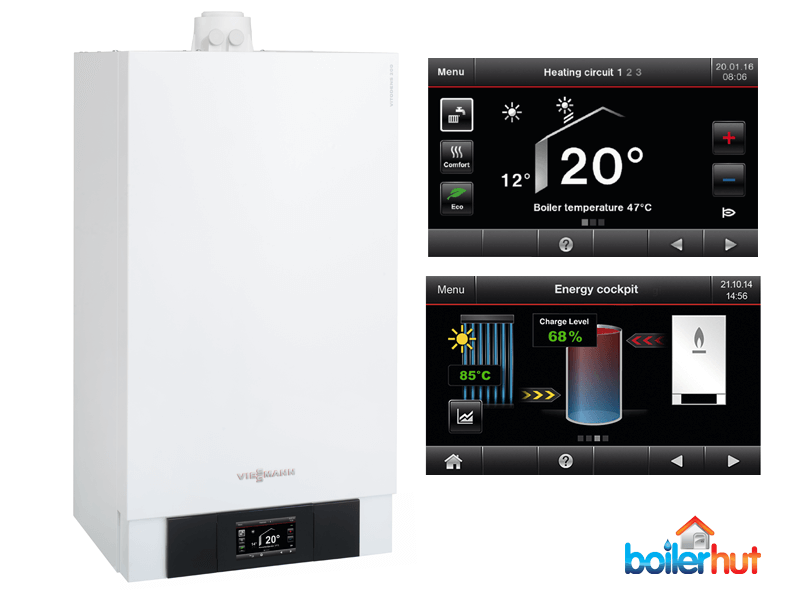 A storage combi boiler like the Viessmann Vitodens 111-W can supply hot water at a rate of up to 18 litres/min for larger properties with 2 bathrooms without any issues. 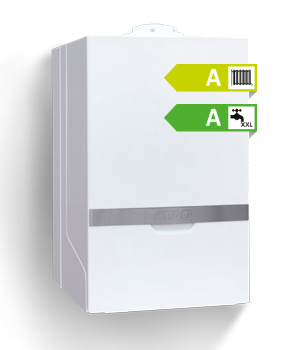 If you want to learn more about the best combi boilers 2019 with a tank, our post storage combi boiler gives you all the information you need. 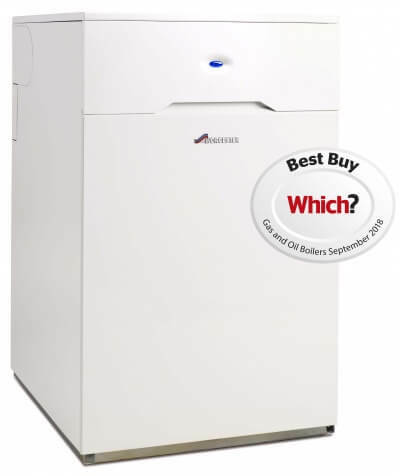 Which Combi Boiler is Best for Your Property? Or you can simply enter your postcode below and hit the green button. Once you do that, based on your answers our intelligent quoting system will give you a free, no obligation online boiler quote for the best combi boilers 2019 within a few minutes. It’s important to choose a combi boiler brand that is reliable, but also durable to last you at least 15-20 winters without issues. Another important criteria is finding the right fit for your property. Oftentimes the tendency for a lot of clients is to straight away go for the cheapest boiler brand like Ferroli, Biasi, Alpha etc. instead of the best combi boilers 2019. Now, while you may save some money on the initial cost of the combi boiler installation, you may end up losing a lot over the next 10 years in frequent repairs or low efficiency costing you money on energy bills. Do any boiler brands have the upper hand? The best part about fierce competition is that it forces manufacturers to step up their game. Which has happened in the UK over the last few years. You can get extended warranties of 10-12 years for the best combi boilers 2019 from almost all top manufacturers now. Would Brexit affect international brands? Brexit won’t have any effect, as international manufacturers have committed and invested heavily in the UK, much like a lot of other international brands operating here. Parts are stocked and readily available all across the UK from all manufacturers, even for best combi boilers 2019 from German brands like Viessmann and Vaillant who are now not only headquartered in the UK, but also have assembling plants and parts stocking warehouses in the UK. All major boiler brands in the UK are also trying to outdo each other when it comes to customer service, tech support and after-sales service. That’s raised the bar, that you as the consumer benefit from. How did we choose the Best Combi Boilers 2019? When all the rest of it is almost equal, you’ve got to start looking at the nitty-gritties. 5 inch colour touchscreen. Easy to operate Vitotronic control unit. It is the most powerful and highest efficiency boiler money can buy in the UK right now. There’s nothing else quite like it in the domestic boiler range in the UK from any of its rivals. It’s also the number 1 in the list of best combi boilers 2019 in Germany. It makes all other boilers look like they’re still in the dark ages, and blows the competition out of the water in every area, except price. Obviously a boiler this technologically advanced and stacked with features is going to be expensive. If you’re looking for a cheap boiler, this isn’t for you. The boiler-only cost is around £1,600. And the boiler installation cost with extras is approximately £3,000. Which is not what the average consumer in the UK is looking for. A lot of people in the UK don’t care about almost 100% energy efficiency or smart controls or weather compensation. They just want something in the range of £1,500 to £2,000 complete with installation starting at 89% efficiency, and are okay with losing £11 for every £100 spent on fuel for the next two decades. It is the age-old initial cost vs long term savings trade-off, which we’ll get into in more detail later in the post. It’s crazy that a boiler as good as the 100-w is second on this list of best combi boilers 2019. That just shows how good the 200-w is. 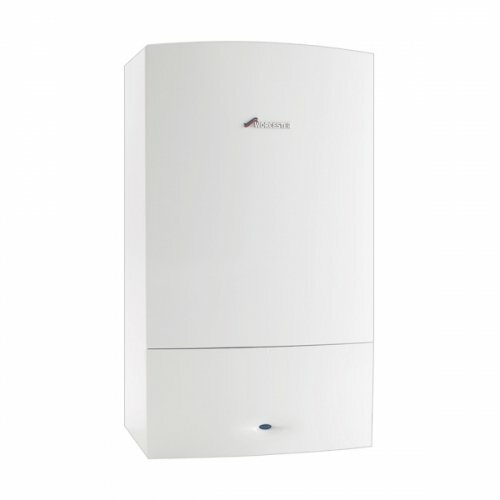 Even though it’s not quite the bees knees of combi boilers, it’s still a premium boiler. Furthermore, it bridges the gap between affordable combi boilers and the absolute premium. For a full review of the 100-W, please click here. Definitely one of the best boilers available in the UK right now. It sits right between the entry level Vitodens 050-W and the high end, premium Vitodens 200-W. This is a surprise entry on the list of best combi boilers 2019. Very few people know about ATAG in the UK. That’s because this is an unbiased list focusing mostly on technologically brilliant, energy efficient combi boilers. And when it comes to energy efficiency, ATAG is right up there. A Dutch manufacturer active for more than 70 years, and now gaining traction in the UK for making one of the highest efficiency combi boilers with a very unique stainless steel heat exchanger. Savings of up to £40 a year on hot water and up to £320 off energy bills (Energy Saving Trust, April 2017). Another big German brand operating in the UK for many years, manufacturing high quality, high efficiency, robust boilers. While their entire boiler range doesn’t have a stainless steel heat exchanger, the model listed above does. Which as we’ll discuss later in the post, puts it easily above Worcester Bosch, the market leader, in this list of best combi boilers 2019. 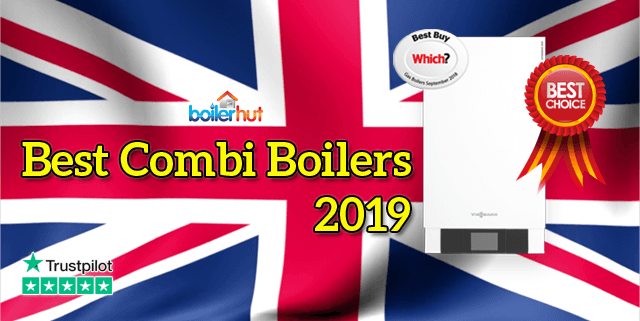 Market leader in the UK for many years, and for good reason, as they rank very high in consumer satisfaction in different industry reports for best combi boilers 2019. However, while their rivals have switched to stainless steel heat exchangers because of the obvious benefits, Worcester Bosch for some reason have chosen to stick with aluminium. Is it because they’re in the market leader comfort zone and don’t feel the need to innovate? The “Worcester” name carries with it great brand loyalty and some national pride too we assume, because people in the UK buy them with their eyes closed. Winner of the Which? 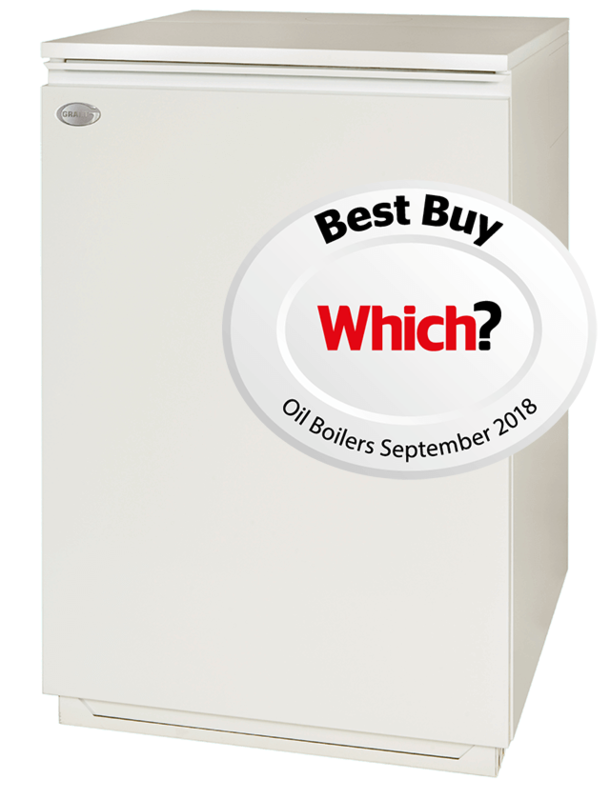 Best Buy Award for the second year running in 2018, this boiler is incredible value for money. You get an inox-radial stainless steel heat exchanger and 92% energy efficiency (with weather compensation and smart controls) for just about £800 (boiler only price) and installation price of around £2100. It’s simple and straightforward. 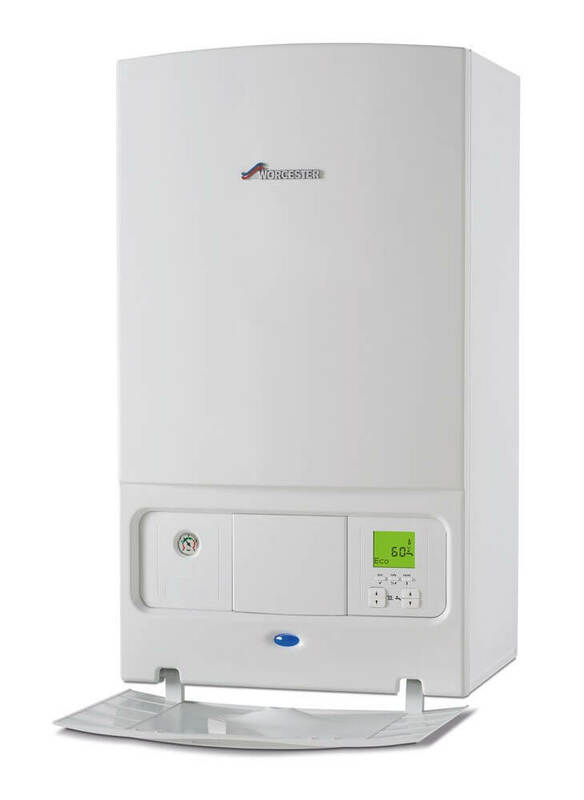 It is a higher efficiency and more reliable boiler compared to the Worcester Bosch Greenstar CDi above. The only reason it’s not higher up on this list of best combi boilers 2019 is because of a shorter 7 year parts and labour warranty from Viessmann, even when installed by approved installers. Whereas all other models listed above have 10 year warranties. It does have a 10 year warranty on the stainless steel heat exchanger though. Worcester Bosch’s more affordable boiler. 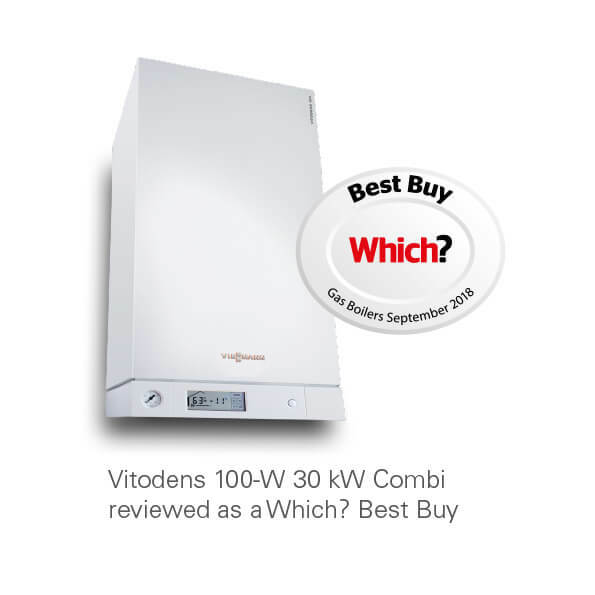 This is in the price range of the Viessmann Vitodens 050-w which is one place higher on this list of best combi boilers 2019. In some cases it’s more expensive than the 050-w, which is crazy considering this is a lower quality boiler with an aluminium heat exchanger. Having said that, it’s still an affordable, reliable combi boiler that gets the job done. But there are better boilers available at the same price, if not cheaper. While brand loyalty exists in almost every industry, an educated customer always does their research to see if there’s something better available. Because there are always hungrier competitors doing a better job to gain market share. Fortunately, all the best combi boilers 2019 listed above that work with mains natural gas will also work with LPG with a simple conversion kit available at all plumbing merchants. 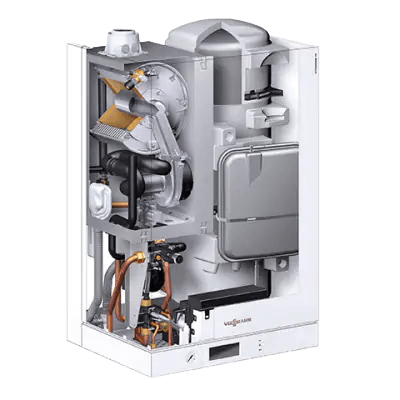 The Viessmann Vitodens 200-W model does not require an LPG conversion kit, because it adjusts to different fuel types automatically. Electric boilers may be fairly cheap to install but extremely expensive over the long term. Other options like heat pumps, biomass boilers and solar panels are energy efficient in the long term, but very expensive to install initially. Winner of the Which? Best Buy award for the second year straight in 2018, Grant UK are the best oil boiler manufacturer in the UK in 2019. Worcester Bosch come in at a close second, but again lose out because of a stainless steel heat exchanger inside every Grant boiler. One of the highest selling oil boilers in the UK, but aging in terms of technology compared to Grant, as Worcester Bosch continue to use aluminium heat exchangers in their boilers. Why Should You Care about Quality of Internal Components? A lot of people in the UK look at boilers only in terms of brand names instead of doing deeper research to find out if there are better options available. Market leaders also usually have the biggest budget to sway reviewers or independent consumer research magazines. It is surprising that while Which? 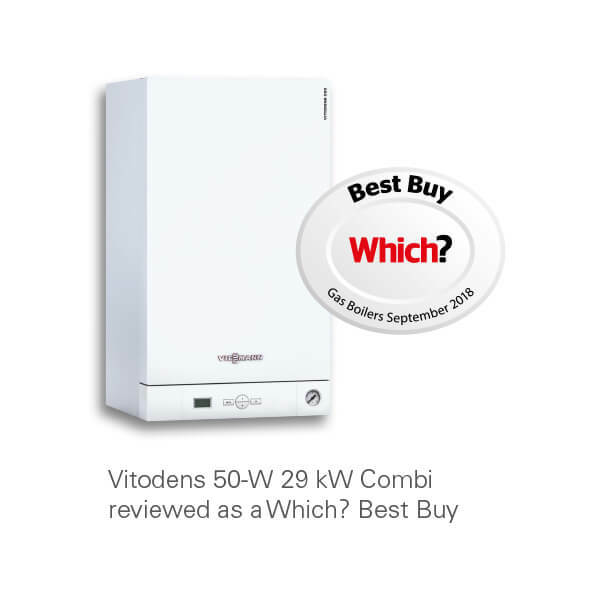 Magazine ranks best combi boilers 2019 taking everything else into consideration, they don’t talk much about internal components, especially heat exchangers. That was their previous boiler. Their plumber buddy recommended it. Their friend/family member recommended it. Then we’ve also had customers calling us to replace a 6 year old Worcester Bosch boiler simply because of low efficiency or a damaged/blocked heat exchanger with debris and sludge. Then we have strategically clever customers like you researching best combi boilers 2019 and reading this post to make an informed, educated decision. Many established brand names in the UK still use aluminium heat exchangers sourced by a third party based in France for their combi boilers. This helps them keep the manufacturing costs down and keep selling their product riding on national reputation, brand name and word of mouth advertising. Why is stainless steel better as a heat exchanger? Stainless steel is extremely resistant to corrosion in a wide range of pH levels. Whereas for aluminum, if the special manufacturer-recommended heat transfer fluids and inhibitors are not used to produce and maintain a narrow pH range, it will corrode much faster and get damaged. And if you do damage the heat exchanger, your warranty will be voided, because the manufacturer will cite improper use of fluids. In direct comparison, stainless steel heat exchangers do not require special fluids, are compatible with plain clean water and propylene glycol (commonly available). Ideal for best combi boilers 2019. 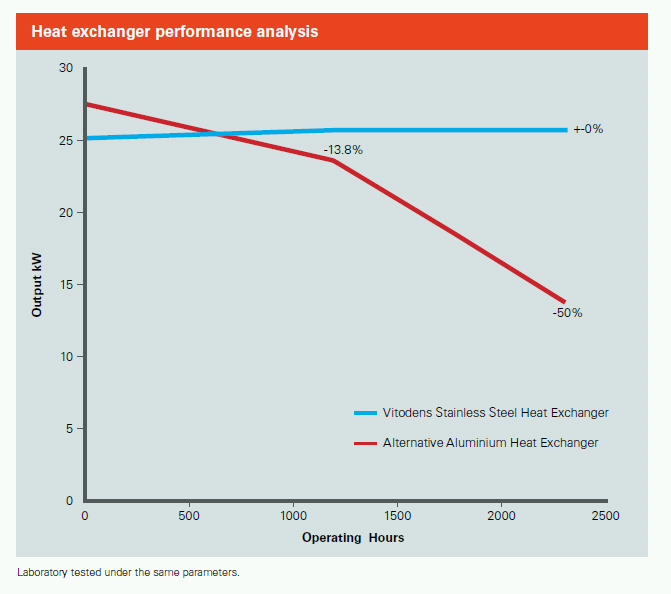 As you can see, aluminium starts off great, but drops off massively after the first 1000 operating hours. The environment inside a boiler is like a furnace and puts extreme thermal stresses on the internal components on a daily basis, and 24/7 during the winter months. Which is why you want the most durable metal inside your boiler. While aluminium is lighter in weight and has higher thermal conductivity, in terms of durability and corrosion resistance, it can’t hold a candle to stainless steel. Why have we ranked Viessmann boilers higher than other brands? As we’ve proven above, there’s no doubt stainless steel is a better metal for a boiler’s heat exchanger. Especially if you’re looking at this as a longer term investment towards the energy efficiency of your home. Viessmann’s entire boiler range has their patented inox-radial stainless steel heat exchanger inside them, which earns them big points in the race for best combi boilers 2019. And because Viessmann have extensive commercial heating experience before they jumped into the domestic boiler market, they already have high tech manufacturing facilities. Their heat exchanger is manufactured in-house at Viessmann’s factory, which helps them save on the sourcing costs and compete against the more established brands in the UK. Inox Stainless Steel is an alloy with a minimum of 10.5% chromium content by mass and a maximum of 1.2% carbon by mass. Higher chromium content makes stainless steel resistance to corrosion and staining, and low maintenance, making it THE most ideal material for a heat exchanger for best combi boilers 2019. It remains durable and doesn’t lose efficiency for the life of a boiler. Whereas aluminium corrodes and drops down in efficiency within just a few years. Why is Durability Important for Energy Efficiency? Two boilers start off at the same efficiency, let’s say 92%. One has aluminium, and the second has stainless steel heat exchanger. Aluminium corrodes after a few years and drops down in efficiency to 85%. Stainless steel meanwhile hasn’t corroded, retains its efficiency and remains at 92%. Energy efficiency of 92% for a boiler means you’re converting 92% of the fuel into heat, and only losing 8%. In monetary terms that means for every £100 you spend on energy, you’re losing only £8. And for a boiler at 85% efficiency, you’re losing £15 on every £100 you spend on energy. That extra £7 lost adds up over time. In the diagram below you can see a stainless steel heat exchanger on the left, and a corroded aluminium one on the right. The internet is littered with complaints about aluminium heat exchangers getting damaged due to debris and sludge. Best combi boilers 2019 listed in this post are about the same price for installation. So, it’s an absolute no-brainer to choose one with a stainless steel heat exchanger. We simply cannot see any advantage of going with aluminium. It doesn’t matter if the boiler carries brand reputation or any other fancy bells and whistles.